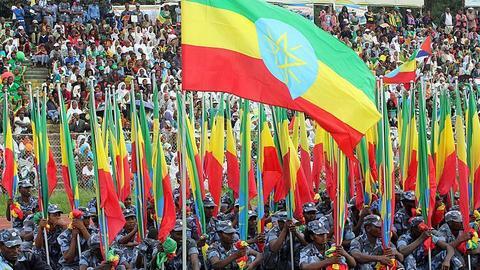 Ethiopia is slowly sleepwalking into ethnic war. Can it be averted? In 2004, the former Chairman of the Coalition for Unity and Democracy (CUD) party, Hailu Shawul, held a conference in Addis Ababa before the election. In his speech, Hailu told the crowd that he was not worried about the ruling party, the Tigrayan People's Liberation Front (TPLF), imprisoning him and the opposition. "I am most concerned about the slow and sporadic mass killings due to the false hope of unrealistic tribal borders," he said. Almost 13 years later, the deadly consequences of ethnic-federalism politics is resulting in increasing tension within Ethiopian society. Over the last several days, dozens of Sidamas have been killed and a further 50,000 have been cleansed out of a region that straddles the Oromia and Somali regions—previously known as Bale—by Oromo extremists, a region the two communities shared for centuries. And last month, nearly a thousand Oromos and Somalis perished due to another tribal border conflict in the southeast – a region that can never be ethnically demarcated due to the nomadic lifestyle of each side. Many of the dead were women and children, with tens of thousands more becoming refugees in their own country. 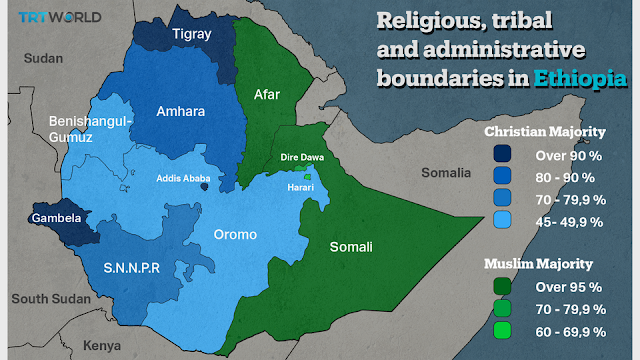 This is the ugly face of Ethiopia's ethnic-federalism politics, an apartheid-style separation of land that divides people based on tribe. It is a dangerous experiment created and institutionalised by former TPLF Prime Minister Meles Zenawi. It will get worse as more ethnic elites rise up and become impatient with the harsh reality that ethnic-federalim on paper is unrealistic and impractical on the ground. Just like Rwanda's tribal warlords, the Ethiopian "activists" and intellectuals representing various tribes have stirred up the country like never before. Unlike Rwanda, these tribal elites are often western-based and educated: and they use internet and social media; not radio or walkie-talkies. For instance, tribal elites like Tekle Yeshaw, Jawar Mohammed, Tsegaye Ararrsa and others have become outspoken about the failures of TPLF's ethnic based administration. The big problem is that these tribal elites don't want democracy, and they don't oppose tribalism; they actually want more of it. For example, Tekle Yeshaw claims towns in northern Gondar, of the Amhara administrative unity, belong only to his Amhara tribe; and Tsegaye Ararssa has spread propaganda that non-Oromos are "alien" and "settlers" in Addis Ababa; while Jawar Mohamed is famous for chanting "Ethiopia out of Oromia." Oblivious of the fact that Oromos themselves migrated to this area and that the former Gondar province was never synonymous with "Amhara," such misinformed tribal elites have instigated the so-called #Oromoprotests and #Amharaprotests. All these tribal elites share one thing in common with former Ethiopian President Meles Zenawi: the disastrous and archaic notion that every piece of land in Ethiopia is exclusively owned by one ethnicity. It is this dangerous concept that motivated some Oromo students to rise up against the natural expansion of a diverse metropolitan city like Addis Ababa. Diversity, globalization, urbanization and multiculturalism are a threat to the narrow ethnocentric worldviews of tribal elites. A worldview has been imposed nationwide since 1991 by the TPLF Ministry of Education, where ethnic politics is valued more than the math and science. Therefore, many analysts are not surprised that the new drivers of the opposition are actually former students, soldiers and ex-cadres of the Oromo Peoples' Democratic Organization (OPDO) and Amhara National Democratic Movement (ANDM) branches of the ruling party. With dreams of rewriting the multiethnic history of Addis Ababa and the larger Shewa region; Tribal nationalists have recently demanded renaming the various districts of Addis Ababa in another language. Now, the only thing stopping genocidal tribalism from repeating what they did in Bale, again in Addis Ababa, is the capital city's status as the political center of Africa and host to international embassies. Away from the eyes of the international community, ethnic conflicts are heating up in every rural area. Even the US Embassy in Addis Ababa announced its concern with "troubling reports of ethnic violence and the large-scale displacement of people." This is a big deal, because it takes a lot for Western governments to admit problems facing their darling ally in Addis Ababa. A few dozen dead Ethiopians is usually not a big deal for the West. It's not that they don't value human life, but mostly because they don't have very high expectations of Africa. We may call it a soft bigotry of low expectations or a by-product of geopolitics. Since the end of the Cold War, the West hardly cared about the Horn of Africa, and even well-informed observers admit that the bar is set very low for the TPLF. But how low? A British journalist recently gave me his pessimistic assessment of TPLF's job approval through western eyes. "There hasn't been a resumption of civil war (in Ethiopia)-- which is an achievement," he concluded. This is a blunt reminder that the world has no plans to end this Rwanda in slow motion. Ethiopians are alone. Ironically, a big factor that has prevented Ethiopia from collapsing altogether is the primary trademark of TPLF's tyrannical rule: its homogenous Tigrayan federal security. Unlike the previous DERG regime which had a multiethnic diverse federal army that defected under pressure; the TPLF federal army is immune from desertion and enjoys strong ethnic cohesion. Whether an overstretched single tribal army can contain so many crises in a country of 102 million, remains to be seen. One thing is for sure; once tribal killings starts, they can quickly spiral out of control. As we saw in Somalia, even warlords became powerless to stop the cycle of war. And Ethiopia's Facebook warriors and instigators will have even less power to stop future conflicts. As in Rwanda and countless other conflicts, the endless cycle of revenge violence has a tendency to take on a life of its own.